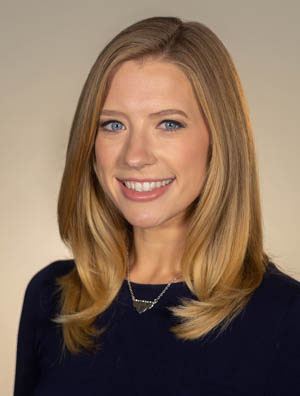 Erica Horvatin joined the ABC 57 First Warning Neighborhood Weather Team in August 2016. She is the Weekend Evening Meteorologist, and she reports live for weather on weekday evenings. This is the second stop in Erica's path as she pursues her dream career. She is from the Chicagoland area and is a proud graduate of the University of Illinois at Urbana-Champaign. While attending the University of Illinois, Erica immersed herself in the study of weather. Some of her favorite memories include meeting Tom Skilling, storm chasing with classmates across Illinois, and her big Field Studies course. On a two-week trip across the Plains, she witnessed her first tornado, was caught in a dust storm, and was storm chasing in the vicinity of the Moore, Oklahoma tornado and El Reno tornado of 2013. After graduating, Erica quickly accepted a Weekend Meteorologist position at KNBN in Rapid City, South Dakota. This was a big move, but she ended up falling in love with the Black Hills. Erica enjoyed the active weather pattern and all of the activities that the Black Hills had to offer. She became an avid adventurer. While in Rapid City, Erica spoke at the Women in Science Conference, and had the opportunity to inspire girls to follow their STEM dreams. While working at KNBN she was also a reporter, which she enjoyed. Erica is closer to home now, and looks forward to seeing her family and friends more often. Outside of work she loves music, concerts, the outdoors, hiking, craft beer and wineries, yoga and much more. You can contact Erica through email, Facebook and Twitter. Spring season is warming across the U.S.
Coldest air of the season heading for U.S.